Saudi Arabia Thursday called for the death penalty against five people accused of murdering journalist Jamal Khashoggi inside the kingdom’s Istanbul consulate but absolved the crown prince of any blame. Khashoggi, the Washington Post contributor and critic of Crown Prince Mohammed bin Salman, was drugged and his body dismembered, a spokesman for the public prosecutor said, in the first Saudi confirmation of how the journalist died. But spokesman Shaalan al-Shaalan denied Prince Mohammed had any knowledge of the killing. The journalist’s body parts were then handed over to an agent outside the consulate grounds, Shaalan said. The prosecutor has requested the death penalty for the five who “are charged with ordering and committing the crime and for the appropriate sentences for the other indicted individuals,” Shaalan said. The announcement follows a massive international outcry over the killing of the 59-year-old Khashoggi, last seen entering the consulate on October 2 to obtain paperwork for his marriage. The journalist went into self-imposed exile in the United States in 2017 after falling out with Prince Mohammed. 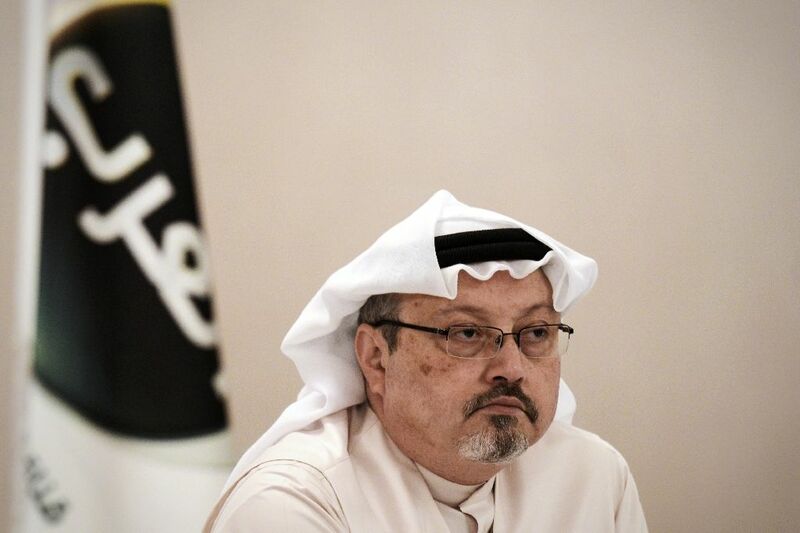 Implicated in the murder are the once-powerful deputy chief of Saudi Arabia’s intelligence, General Ahmed al-Assiri, who gave the order to repatriate Khashoggi, and an unnamed “head of the negotiating team” who flew to the Istanbul consulate had ordered his murder, Shaalan said. The prosecution said it now has 21 people in custody, 11 of whom have been indicted with investigations to continue into the others. The kingdom previously said it had sacked two top aides to the crown prince who were known to be part of his tight inner circle — Assiri and royal court media adviser Saud al-Qahtani. Qahtani has been banned from travel and is now under investigation, the prosecutor’s office said but did not reveal the fate of Assiri. “This is clearly an attempt to display to the world that a semblance of accountability is being applied in Riyadh, but the question that has been asked will continue to be asked,” said H.A. Hellyer, senior nonresident fellow at the Atlantic Council and the Royal United Services Institute in London. On Sunday, US Secretary of State Mike Pompeo told the Saudi crown prince in a phone call that Washington would hold accountable all those involved. “The secretary emphasized that the United States will hold all of those involved in the killing of Jamal Khashoggi accountable and that Saudi Arabia must do the same,” State Department spokeswoman Heather Nauert said in a statement. Turkey has called for an international investigation into the murder and has previously hinted that the Saudi authorities were not keen on genuinely cooperating with their investigation. The Saudi prosecutor’s office said the kingdom had requested that Turkey sign a “special cooperation mechanism” on a probe into the murder but had not yet received a response. “We find all those steps positive, but insufficient,” Turkish Foreign Minister Mevlut Cavusoglu said in a televised speech. Turkish President Recep Tayyip Erdogan has repeatedly said the order to murder Khashoggi came from the upper echelons of the Saudi government. Ankara has also shared voice recordings linked to the murder with a number of countries including Saudi Arabia, the United States, and its Western allies. The global fallout over the Khashoggi murder has tainted the image of 33-year-old Prince Mohammed — the de facto ruler and heir apparent widely known as MBS — despite persistent Saudi denials that he was involved. “The prosecutor’s statement further reinforces that there is no risk whatsoever to MBS’s position,” said Quentin de Pimodan, a consultant at the Greece-based Research Institute for European and American Studies. Khashoggi’s killing has plunged Saudi Arabia, the world’s top oil exporter, into its worst diplomatic crisis since the September 11, 2001, terrorist attacks on the United States, in which most of the hijackers were identified as Saudi nationals. After first insisting Khashoggi left the consulate unharmed, Saudi authorities said he was killed in an argument that degenerated into a brawl before finally accepting what Turkey had said virtually from the start — that he was killed in a premeditated hit.